The phone on the world’s first Android-powered electric scooter will run Android 8.0 (Oreo) out of the box. The phone has a 5-inch display, 1 GB of RAM, and 8 GB of storage and runs on a quad-core processor. The 5-inch touch screen display will be directly connected to the motor of the scooter, giving users a unique controller for their new method of transport. Feature wise, the phone comes with 3G connectivity and GPS for navigation. Since its an Android device, it will also come with the Google Play Store, allowing access to several apps and services. 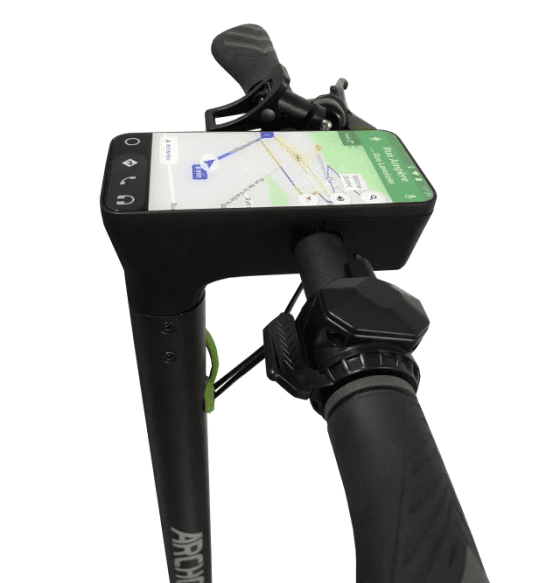 The 3G connectivity gives users the ability to get directions via Google Maps in real time. The screen will primarily show the speed, distance travelled and remaining battery level of the scooter. However, if the user wants, browsing Facebook while motoring around is also possible, not recommended though. The scooter has ergonomic handles and 8.5-inch puncture-proof wheels, dimpled for better suspension. Powered by a 6,000 mAh, 36V battery, its aluminum frame makes the unit light enough (13 kgs) to give it a mileage of over 25 kilometers (about 15.5 miles) on a single charge, in urban areas. Thanks to the energy recovery system, the scooter automatically recharges the battery with each braking, further increasing the battery life by 15%. 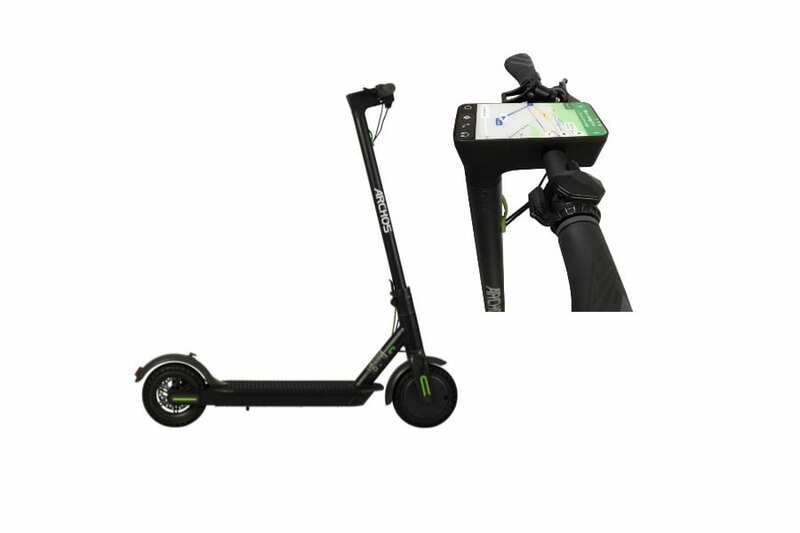 The scooter can also be charged via a docking station, which charges the battery fully in 2-3 hours. The Citee Connect can reach speed of up to 25 km/h (15.5 mph) and can withstand 100 kgs (about 220 lbs) of weight. Along with the Citee Connect, Archos also announced two new non-Android electric scooters in its lineup, the Archos Citee and Citee Power. Archos will unveil all the three variants at the Mobile World Congress (MWC) 2018 in Barcelona next week (Hall 6 – Stand B60). The scooters will go on sale in April for about €399 (about $494). The is expected to go up by a further €100 when the product hits traditional store shelves in the summer.